This tutorial shows how to create and use a shader with LibGDX 3D api. It will only cover the very basics. We will see how to use DefaultShader with custom shader code. Next we will look at creating a shader from scratch on. The full source, assets and a runnable tests of this tutorial can be found on this github repository. As we've seen previously a shader is responsible for the actual rendering of a Renderable. The default shader that comes with LibGDX, supports most of the basic rendering required. However, for more advanced rendering, like effects, you'll probably want to use a custom shader. Here we removed the environment object and simply set renderable.environment to null, indicating that no environment (e.g. lights) should be applied. 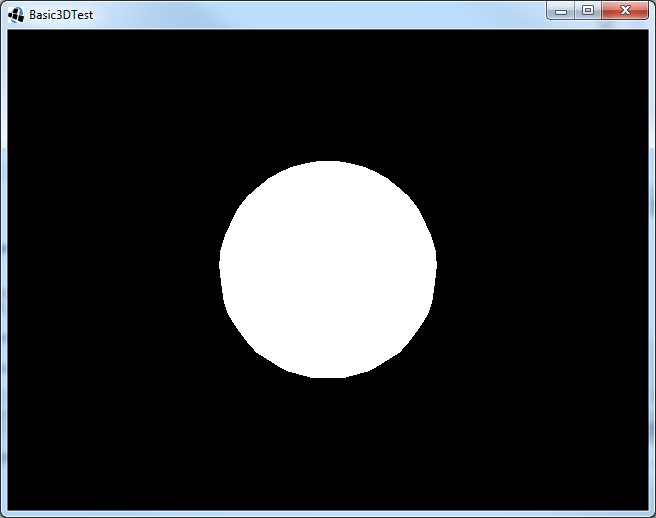 Next we removed the ModelLoader and instead use the ModelBuilder, which we've used earlier, to create a simple sphere. The sphere's bounds are [2, 2, 2], the sphere has an empty material and each vertex of the sphere has position, normal and texture coordinates attributes. Note that you can rotate the camera by dragging on the screen. 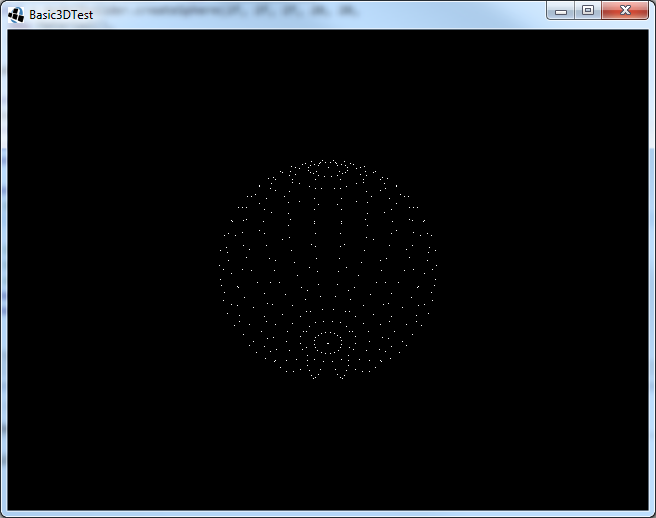 Here we see every vertex the sphere contains. If you look closely you'll see that the sphere is made up of 20 gradually sized and spaced circles (bottom to top) and each circle contains 20 points (around the Y axis). Which matches the divisionsU and divisionsV arguments we specified while creating the sphere. I assume you are familiar with vertices and meshes in general, so I'll not dive deeper into this. But keep in mind what the difference is between a vertex (the points in the image above) and a fragment (every visible pixel of the mesh). Make sure to remove the line we previously added (renderable.meshPart.primitiveType = GL20.GL_POINTS;), so we're back to the opaque boring sphere. Now let's make that sphere a bit more interesting by customizing the default shader. This is done by two glsl files, representing the shader code. One, which is executed for every vertex within our sphere (the dots shown above) and one which is executed for every pixel (fragment) on the sphere. So create two empty files within the data folder of the assets folder and name them test.vertex.glsl and test.fragment.glsl. Here we first define three attributes: a_position, a_normal and a_texCoord0. Those will be set with the position, normal and texture coordinate values of each vertex. Next we define two uniforms. u_worldTrans will receive the renderable.transform value and u_projViewTrans will be set with the cam.combined value. Note that naming of these variables is defined in the DefaultShader class, more on that soon. Finally we define a varying: v_texCoord0, which we will use to transfer the a_texCoord0 value to the fragment shader. The main method is the method which will be called for every vertex. In there, we assign the value of a_texCoord0 to v_texCoord0 and next we calculate the location on the screen of the vertex. First we use a macro to set the precision when we're on OpenGL ES (e.g. Android, iOS or webGL). Next we define the varying v_texCoord0, just like we did in the vertex shader. In the main method we set the red component of the color of the fragment to the texture X coordinate (U) and the green component to the texture Y coordinate (V). That looks about right. The red and green color components of the sphere are set to X (U) and Y (V) texture coordinates. So with just a few lines of code you can customize the DefaultShader with your own GLSL code. But that will only work if your shader uses the same attributes and uniforms as the DefaultShader uses. Or in other words, the DefaultShader provides a GLSL context in which custom GLSL code can be run. Now let's look at what's actually happening here. The GLSL code we just wrote is run at the GPU. Setting the vertex attributes (a_position, etc.) and uniforms (u_worldTrans, etc. ), providing the mesh to the GPU and optionally providing textures etc. to the GPU, is done at CPU. The GPU and CPU parts must work together to render the renderable. E.g. binding a texture at CPU, while not using at GPU doesn't make sense. And using a uniform at GPU which is not set at CPU also doesn't make sense. In LibGDX both the CPU and GPU parts together make up a Shader. It does whatever it needs to do (but should do not more than that) to render the provided renderable. This might be a bit confusing, because in most literature a shader is referring to only the GPU part (GLSL code). In LibGDX the GPU part (the combination of vertex shader and fragment shader) is called a ShaderProgram. And a Shader is the combination of both the CPU and GPU part. Most commonly a Shader uses a ShaderProgram, but it doesn't have to (e.g. in case of OpenGL ES 1.x). Before we implement this shader, we'll first look at last two methods. The compareTo method is used by ModelBatch to decide which shader should be used first, we will not use that for now. The canRender method will be used to decide the shader should be used to render the specified renderable, we will look into that soon. But for now we always return true. 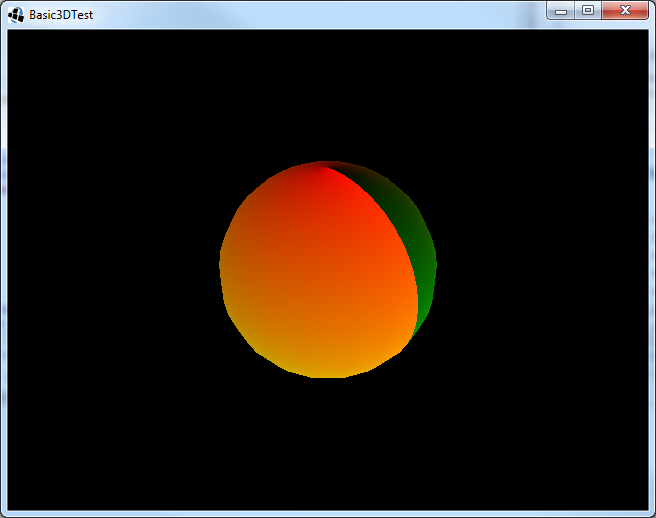 In the init method, we read the vertex and fragment GLSL files and use them to construct the ShaderProgram. If the ShaderProgram isn't compiled successfully we throw a meaningful exception so we can easily debug the GLSL code. The ShaderProgram needs to be disposed, therefor we also added a line to our dispose method. Now run it again and see that it looks a lot better. 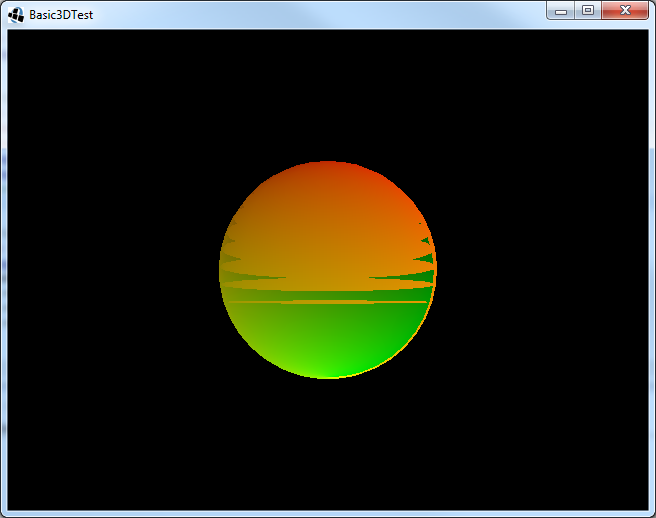 Now we have created our first very basic shader using the LibGDX 3D api. In the next tutorial we'll see how to use (custom) material attributes within your shader.